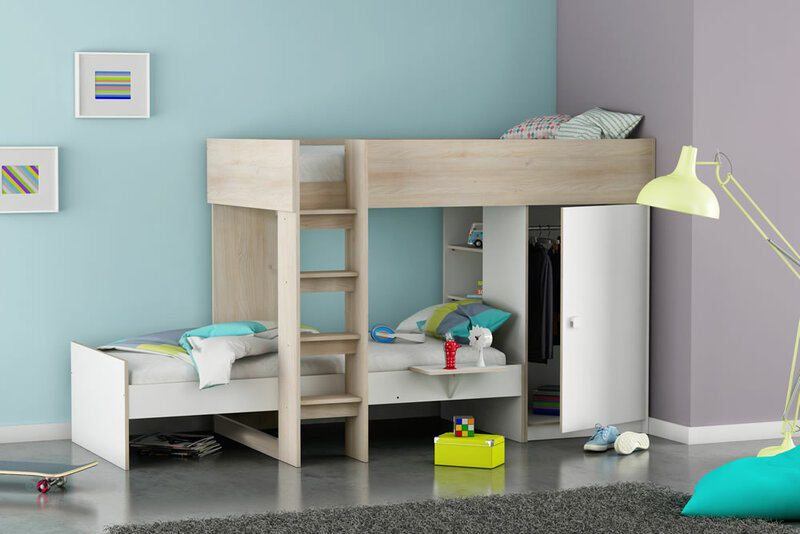 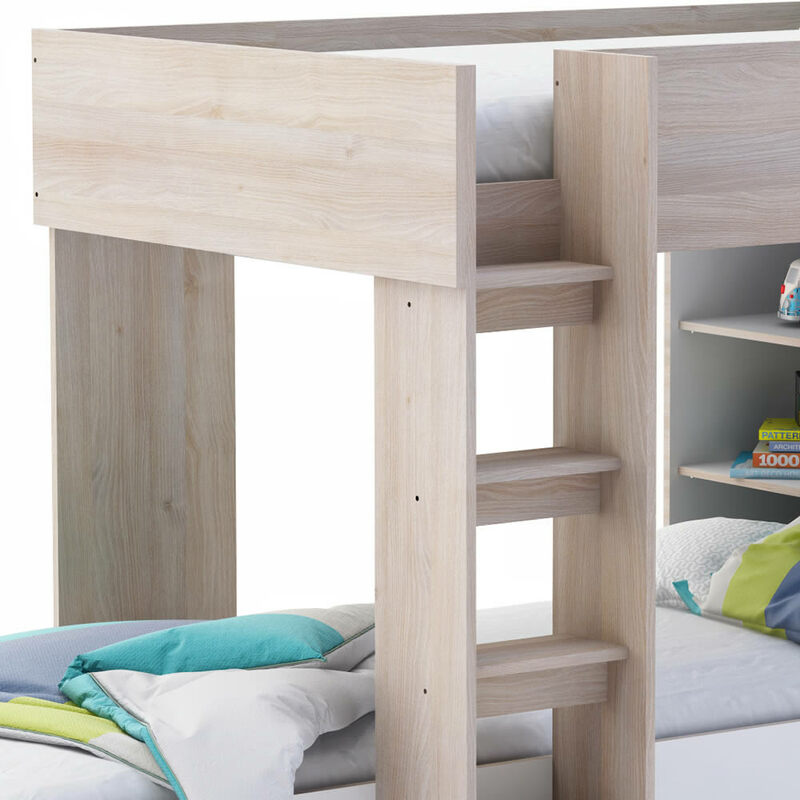 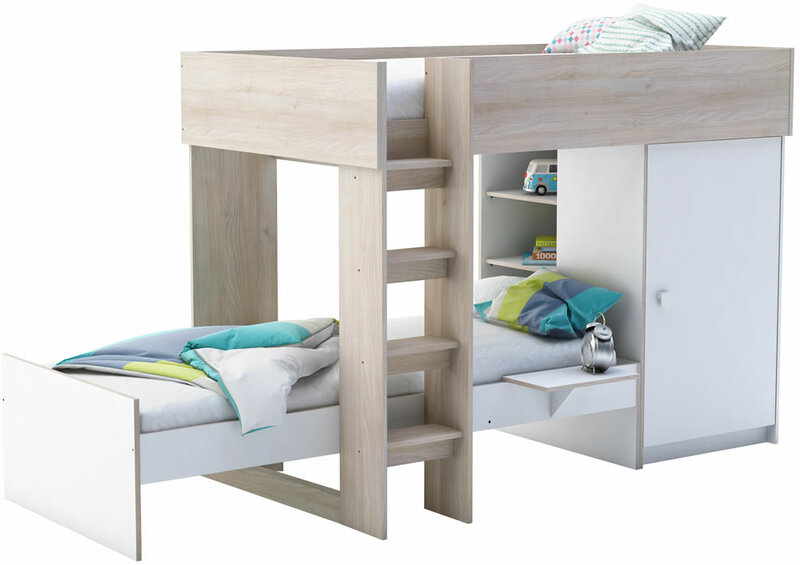 The Flair Furnishings Dylan multi layout bunk bed in an acacia and white finish features built in under bed storage shelves and a single door wardrobe. 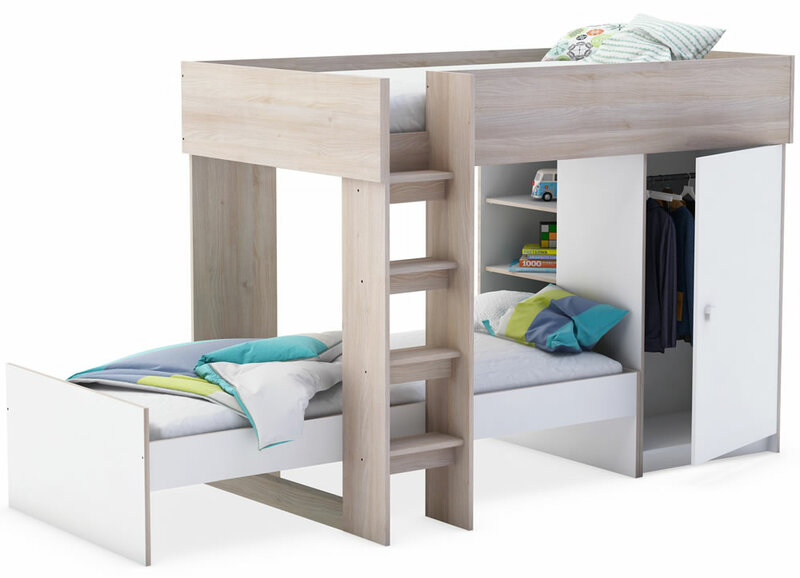 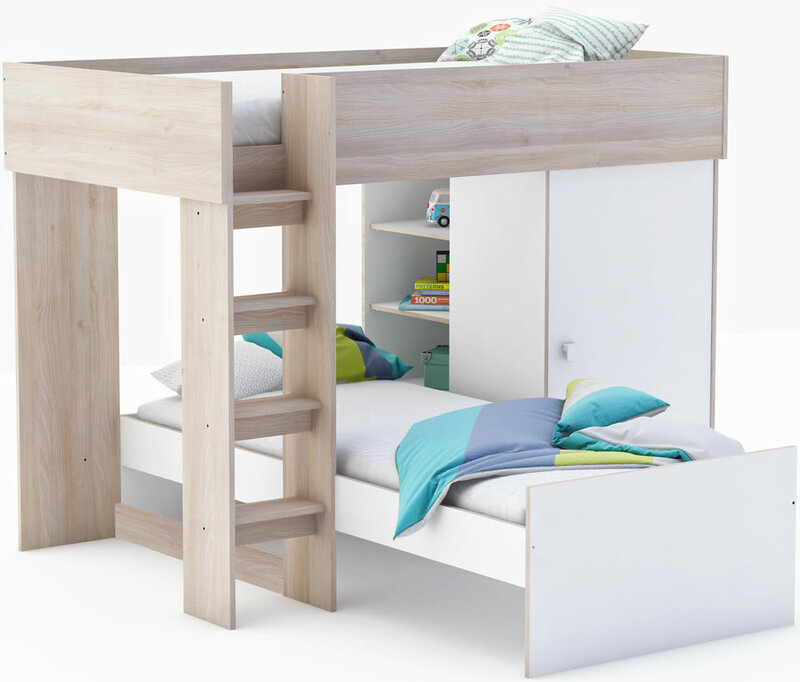 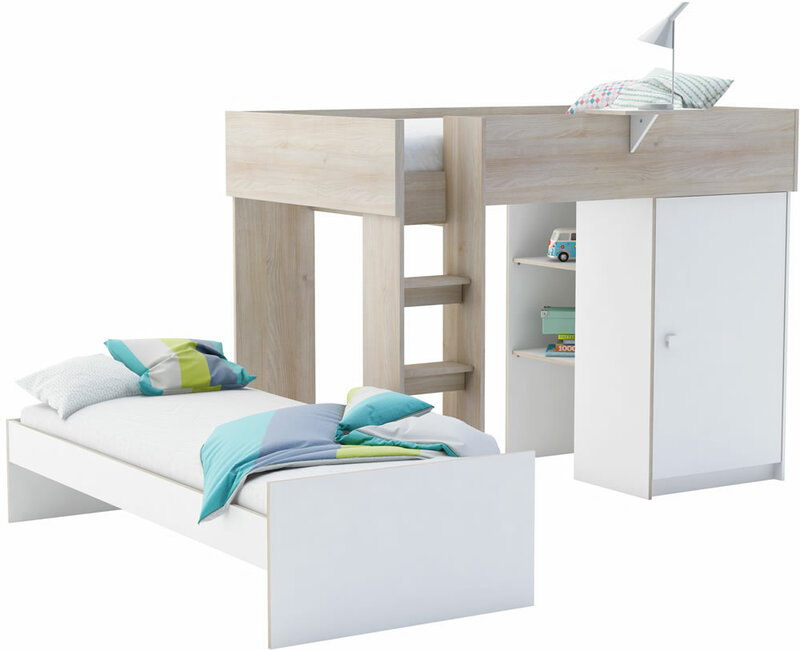 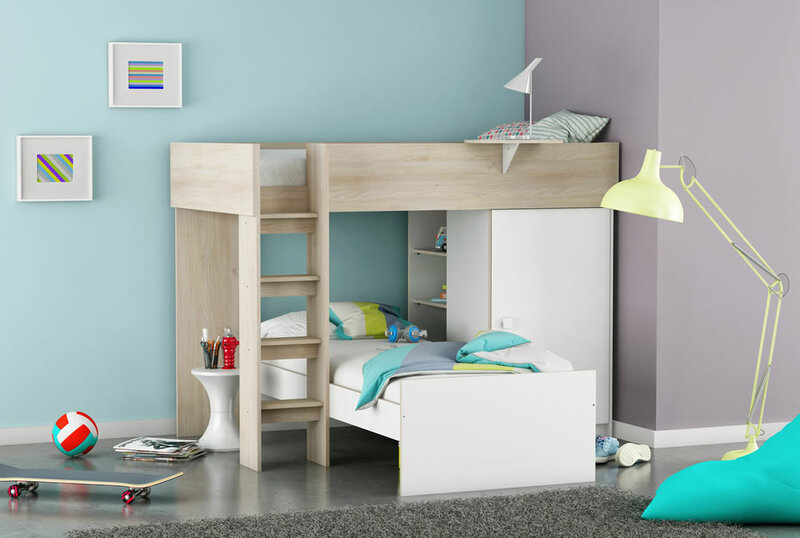 The Dylan bunk bed can be configured in an L-Shaped layout or inline staggered layout, the single bed can also be used independently elsewhere in the room turning the bunk beds into two separate beds, a high sleeper bed and single bed frame. 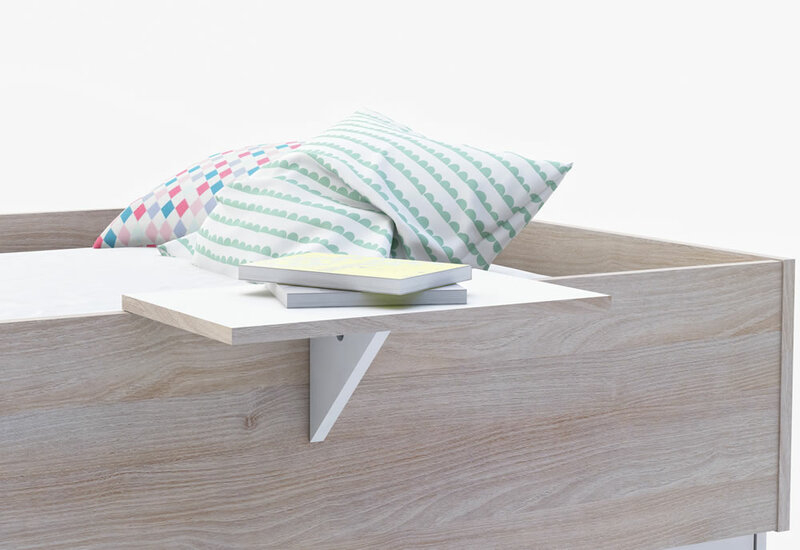 A handy bed side shelf is also included for the top bed perfect for a book or bed side small lamp. 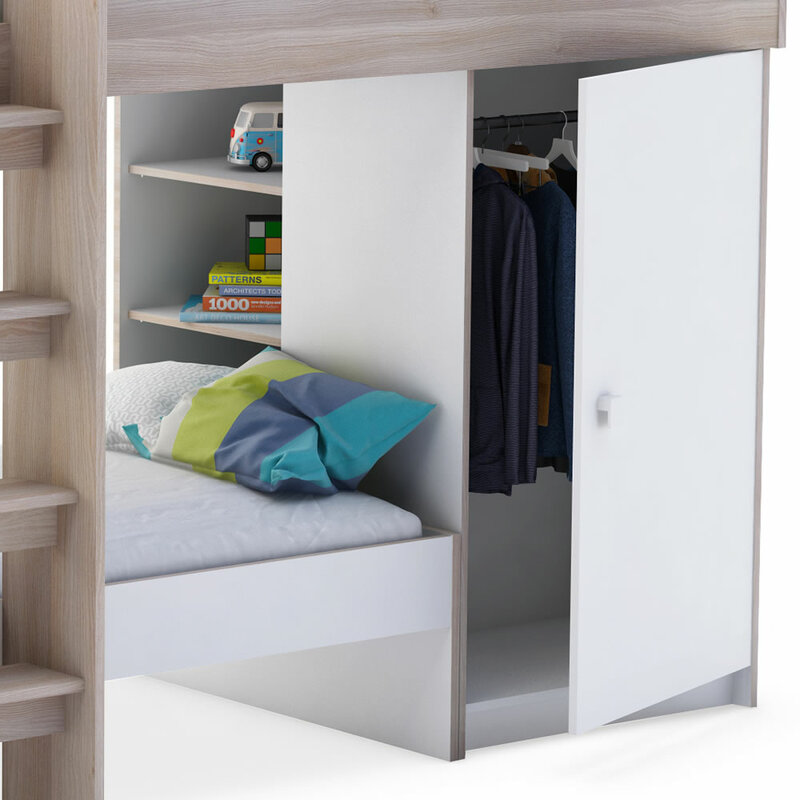 The single door wardrobe offers a single full width hanging rail with space below for additional storage.